A fortnight after being crowned the world’s cut flowers growing champion, Oserian Development Company has announced a series of scholarships for the best students in the schools it manages while introducing a scheme where priority to work in the farm will be given to former students of the schools. 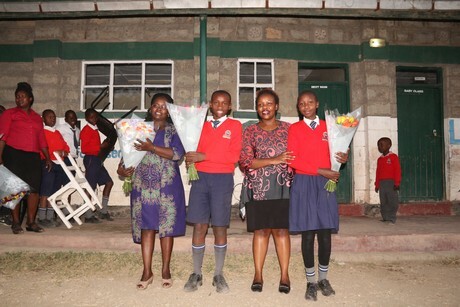 The new scholarships target students from Oserian Primary, Oserian Secondary and Hilltop Academy which host students of the more than 4,600 workers at the farm. 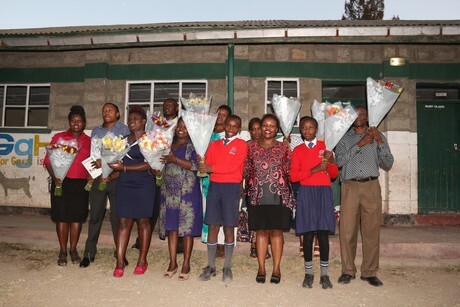 Students and teachers of Hill Top Academy, one of the schools managed by Oserian, during a thanksgiving ceremony. “We have started a programme where the first three children of each school that we run will be fully sponsored through the next phases of their education. The first three students in Class Eight will be sponsored for their entire secondary education and the first three in high school will be sponsored fully in their university education,” said Mary Kinyua, the Director of Human Resources and Administration at Oserian who was speaking at one of the schools' thanksgiving ceremony.